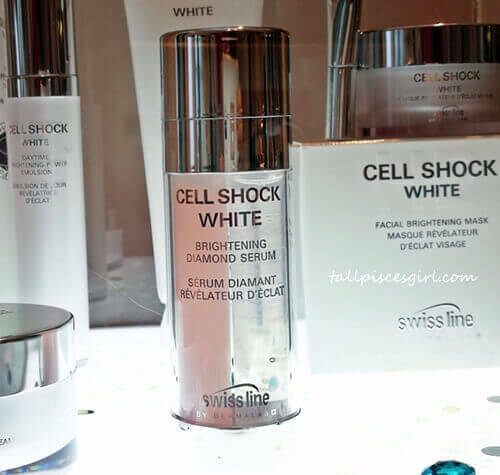 Since the debut of Swiss line Cell Shock White collection 7 years ago, they have been widely known for delivering successful whitening skincare results. 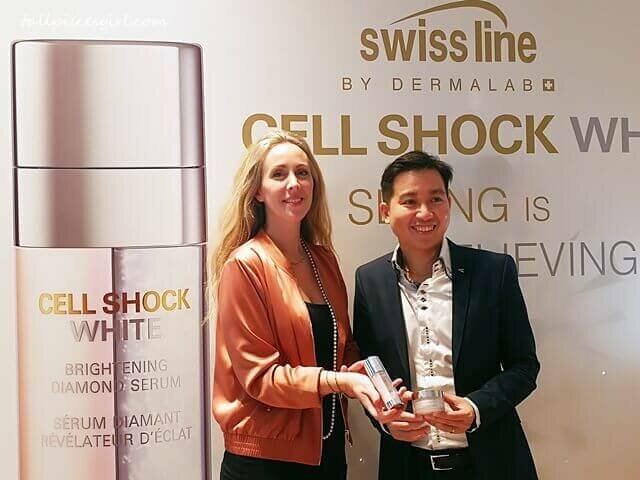 Living up to their tagline “no whiter than Cell Shock White”, Swiss line has achieved a new breakthrough by advancing whitening to brightening and clarity in their reformulation. 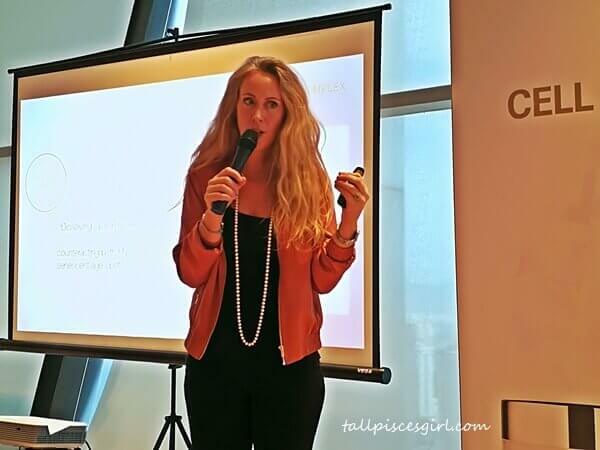 The new definition of beautiful skin is to have an impeccable healthy glow, as precious as diamonds. 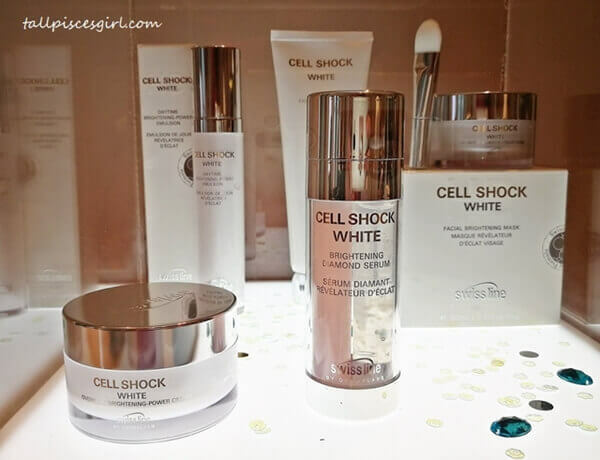 The new Swiss line Cell Shock White collection contains Cellactel 2 White Complex (key ingredient in the original formulation) and further enhanced with the addition of state-of-the-art Diamond Clusters, Syn®-ake Peptide, Spot-off Complex and HD-White Complex in their star product, Brightening Diamond Serum. 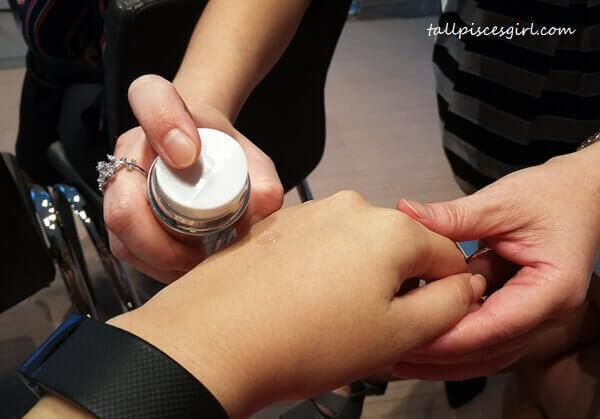 Aside from being a girl’s best friend (I’m totally addicted to things that bling), diamonds are used in this revolutionary formulation because of their extraordinary optical properties. Diamonds have the ability to alter the quality of light reflection from the skin for an immaculate finish when applied. The diamonds are suspended and trapped in micro-capsules using the interaction of two marine polymers. Once the Diamond Clusters touch the skin, they are evenly dispersed, effectuating an immediate and unblemished skin brightening. Syn®-ake Peptide – an award-winning peptide that delivers a non-invasive plumping effect and smoothens expression lines to support the diamond dispersion. It mimics the topical effects of Waglerin-1 resulting in a more relaxed and plumped surface with fewer expression lines. As extravagant as applying diamonds on the skin, the two chambers in Brightening Diamond Serum delivers two different serums that complements each other when fused to tackle uneven complexion, dark spots, blemishes, and wrinkles. 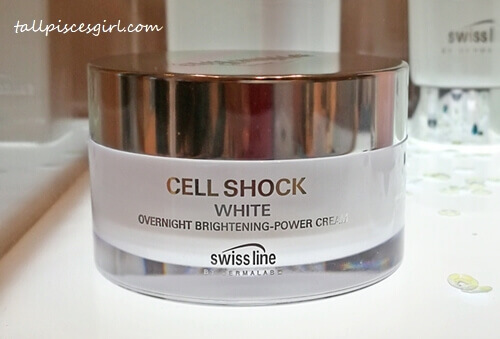 The brightening power can be boosted even further to truly HD results when you use it with other products from the newly enhanced Cell Shock White collection. The Facial Cleansing Foam removes makeup and pollution residues, leaving your face clean and bright. In the long term, a more even and refined complexion is revealed. The balmy-gel texture of the Facial Cleansing Foam surprisingly houses quartz silica which performs gentle, yet cumulative micro-exfoliation. Unlike classic toners, the Facial Brightening Essence gives a bright splash of energetic coolness brought about by exfoliating agents, housed in a gel-in-essence formula. The sophisticated formula of this essence enhances the effectiveness of all other products that followed, while keeping natural exfoliation levels high and addressing signs of pigmentation and uneven texture. The Daytime Brightening-Power Emulsion is formulated for optimal daytime performance and offers an optical correction for a brighter complexion from the very first application. 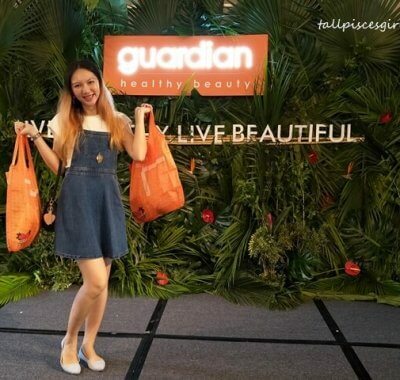 Antioxidants and anti-pollution factors offer brightness, and safeguard skin against urban stress and environmental pollution throughout the entire day. These are known triggers for pigmentation disorders. The Overnight Brightening-Power Cream is a rich-textured night cream that is lightweight, yet nourishing enough. Re-texturizing factors help to deliver a brighter complexion with a smoother texture by boosting the skin’s own night-time recovery abilities. The Facial Brightening Mask is a cream-mask that is applied with a silk brush for an even and smooth application. 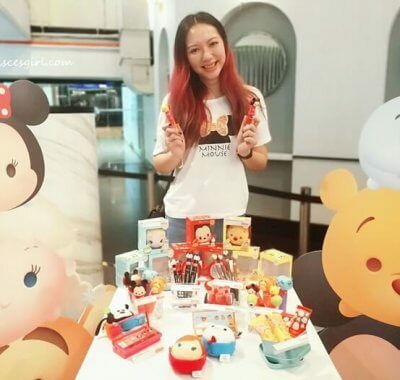 It creates a thin layer that does not dry out and remains creamy until removal of the mask. Formulated as an all-in-one facial mask, it brightens, intensively hydrates, detoxifies and refines pores. To be applied once or twice a week on a perfectly cleansed face. Over 50 Cheerful Beautique beauty salons in Malaysia, including Energy Day Spa at Great Eastern Mall, Ampang. 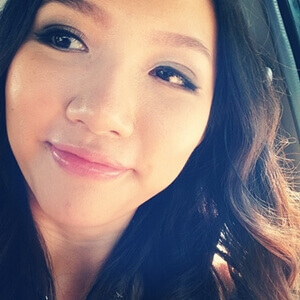 For a full list of Beautique beauty salons, visit www.cheerful.com.my.